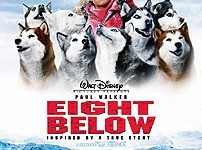 Inspired by a true story, "Eight Below" is an exciting action-adventure about loyalty and the bonds of friendship set in the extreme wilderness of Antarctica. 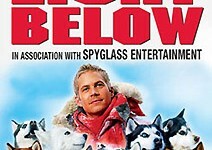 The film tells the story of three members of a scientific expedition: Jerry Shepard (Paul Walker), his best friend, Cooper (Jason Biggs), and a rugged American geologist (Bruce Greenwood), who are forced to leave behind their team of beloved sled dogs due to a sudden accident and perilous weather conditions in Antarctica. During the harsh, Antarctic winter, the dogs must struggle for survival alone in the intense frozen wilderness for over 6 months. The film is inspired by the events of a 1957 Japanese Antarctic Expedition, which served as the basis for the blockbuster Japanese film, "Nankyoku Monogatari" ("Antarctica").